'The Wolf Among Us' was an easy choice for me. After playing Telltale's 'Walking Dead' and '400 Days' and reading a few of the Fables comics, I knew that Telltale's newest tale was going to be good. I love the idea of episodic gaming, which fits perfectly into my time scheduled and my attention span. You can play through an episode and it feels like watching an awesome television show that you've been put in control of. Also, the slow release of episodes give you time to think about your decisions, try out new ones and get excited for the release of the next episode. 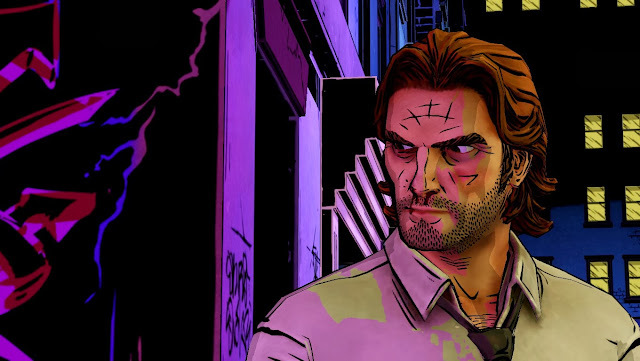 From what I have seen in the first episode, The Wolf Among Us is going to be a more mature than the original 'Fables' comics (at least the storyline that I read). The melding of well-known fairy tale lore and hard-boiled detective story makes for some great storytelling and fun double-meanings, all wrapped in an eye-popping colourful New York. But be warned, if you have sensitive ears then you might want to turn the volume down; I haven't played a game that drops this many F-bombs.... can't wait for Episode 2.